ST. GEORGE — Following a four-day search, officials recovered the body of a 21-year-old California man who died Monday in a drowning accident in the Colorado River. 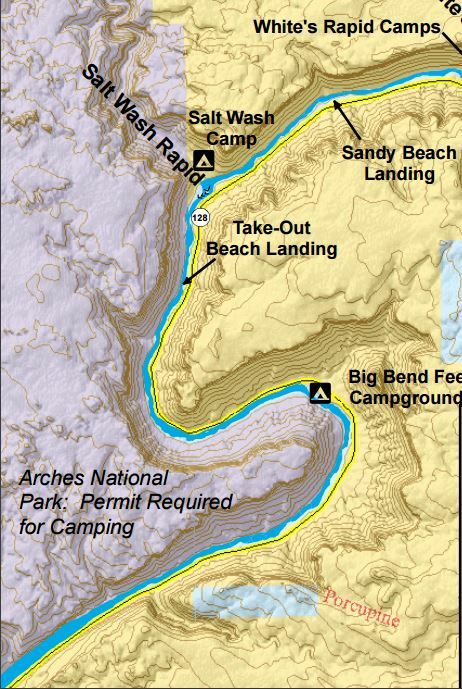 At approximately 6 p.m. Monday, Grand County dispatch was advised of a possible drowning near the Big Bend Campground, approximately 7 miles upstream from Moab, the Grand County Sheriff’s Office said in a statement. Richard Lheureux had reportedly been swimming in the area of Big Bend and was not wearing a life jacket. “(Lheureux) had just swam through an area of white water and was in calmer water when he went underwater,” officials said Tuesday, adding that Lheureux was estimated to have been approximately 20 feet from the river’s bank. Following an extensive four-day search, Lheureux was found Friday approximately half a mile downstream from the last place he had been seen, the Sheriff’s Office said Sunday. Lheureux’s body was transported to the Utah State Medical Examiner’s Office. Very sad to hear, especially since he had left the white water and was in calmer water. Ironic that his last name means the happy one. there he goes again with his “condolences”. Is your change in behavior from a new batch of heavy-duty psychotropic drugs from the psych ward or what? Good choice of pictures. sure wouldn’t want to see Bender have a spastic attack !